Modern Garden Rooms are much more than just sheds or summer houses for warm, dry days. 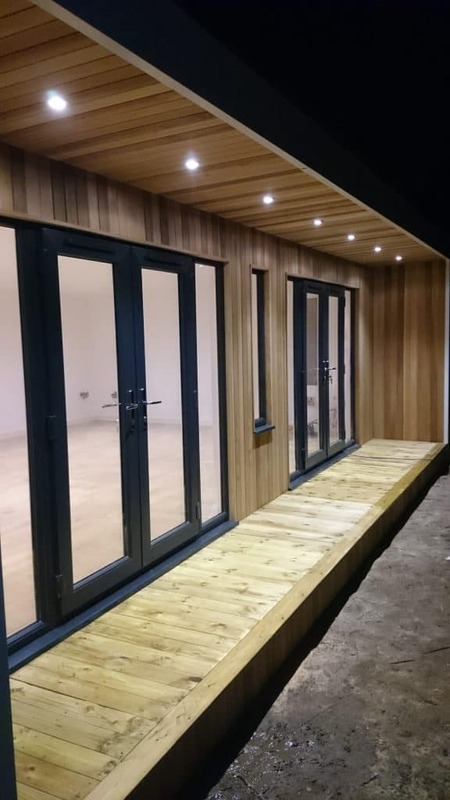 The walls of our garden rooms are properly insulated as standard, and with the addition of heating, plumbing and electricity it is entirely possible to use a garden building as a liveable space; for example a granny annex or student flat, during any time of year. Once decorated, your new garden room could be a luxurious and private apartment for visitors to stay in. Your garden room could even be used as temporary accommodation for your family. 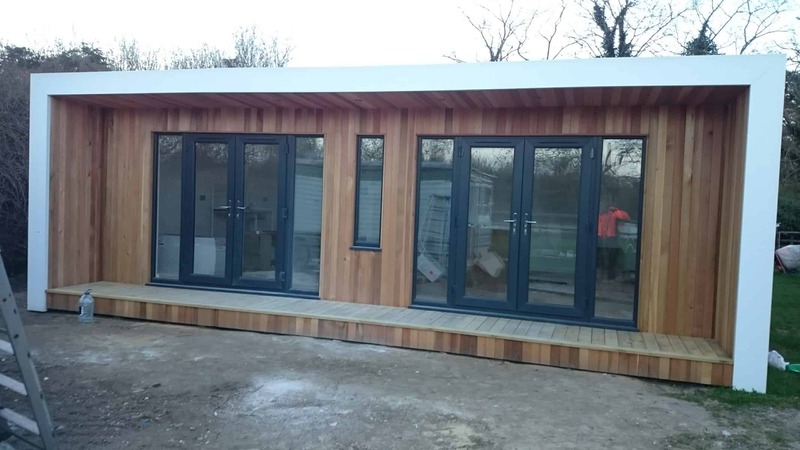 If you need a place to live whilst waiting for the house of your dreams to be completed, then a garden building could provide a solution, as was the case in this recent build. When Hamza approached us, he was looking for a large garden room that could be used as temporary accommodation for his whole family to live in. This temporary accommodation was to be one of our biggest builds to date; a huge 8m x 11m border room was designed to house the family. 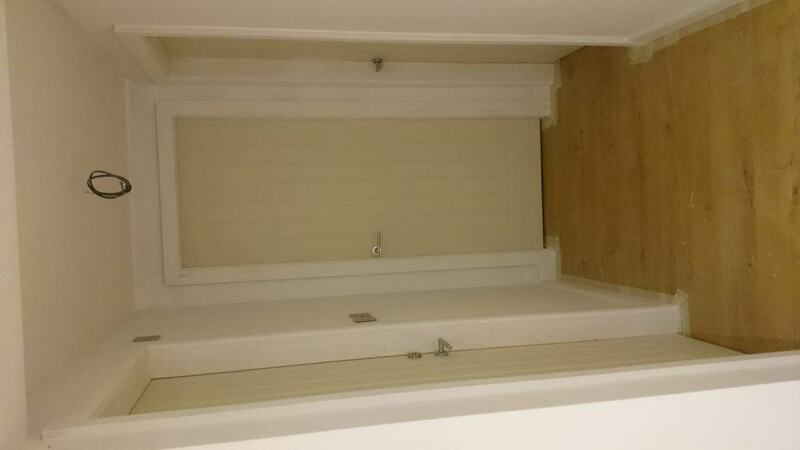 A large Border Room, measuring 8m x 11m with internal partitions to create two bedrooms and a shower room. The outside of the temporary accommodation was entirely clad in cedar, with a grey border. Hamza needed quick, temporary living space for his whole family. It needed to be as big as possible, as well as attractive and practical, and above all it needed to be liveable. The family wanted to fit into their new space everything you would usually find in a house; a large front room complete with space for a kitchenette, a bathroom/shower room and two bedrooms all partitioned off for privacy. 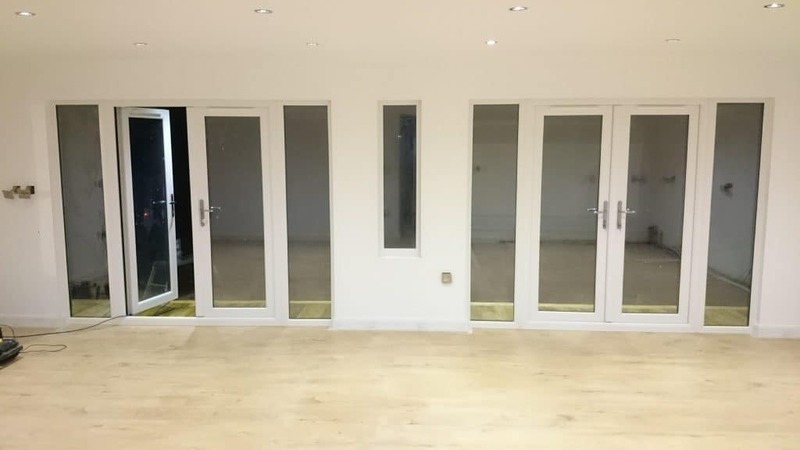 Working with Hamza to his family’s criteria, we designed a huge 8m x 11m Border Room with two French Doors and windows to the front and side. 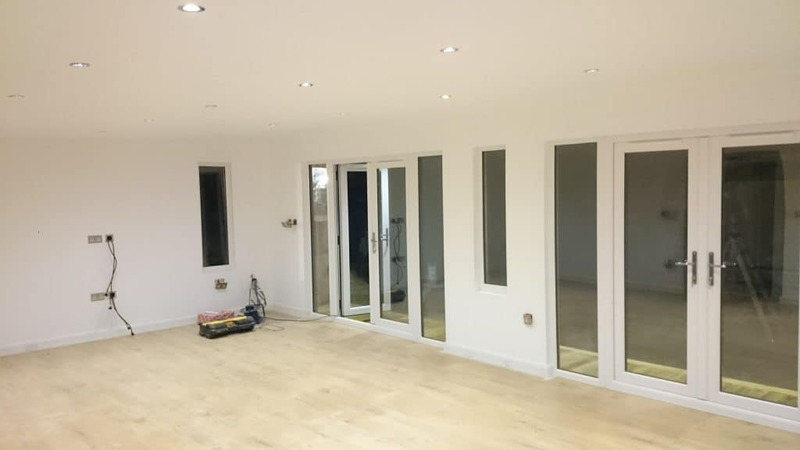 Internal partitions sectioned the space to create a large living area which would be installed with a small but usable kitchenette, as well as two separate bedrooms and a shower room. 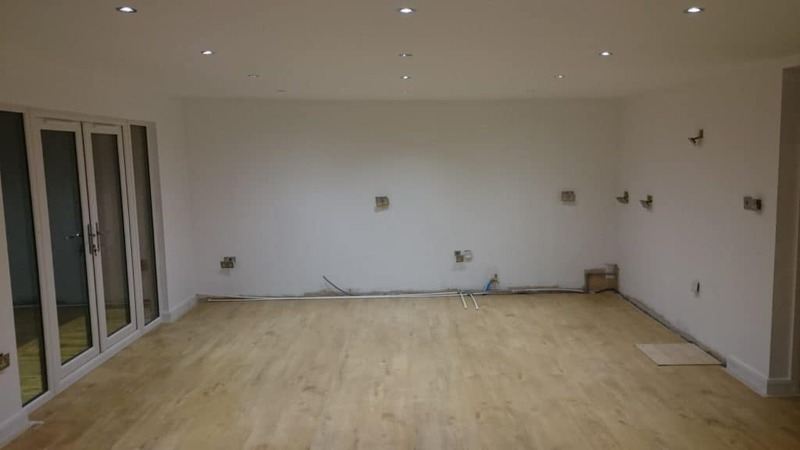 Light oak laminate flooring gave the temporary accommodation a more homey feel. To the front of the building was the the living room area. Plenty of natural light was allowed to get into the area via the large windows and doors which spanned across the temporary accommodation. The living room area was afforded some privacy via the 1m concave border section, coloured eventually in a striking grey. We hope that Hamza and his family have found living in their new space comfortable! 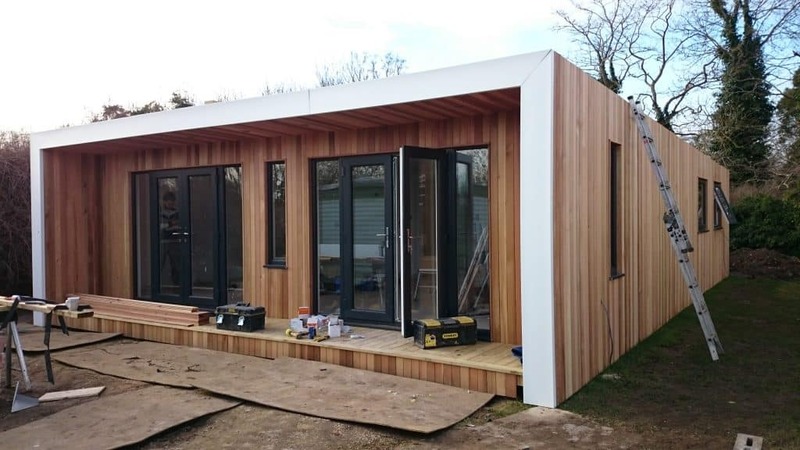 If you are looking to create more living space for any reason, then do contact us to find out how we could help you to create temporary accommodation; whether it is as big as this build or much smaller!